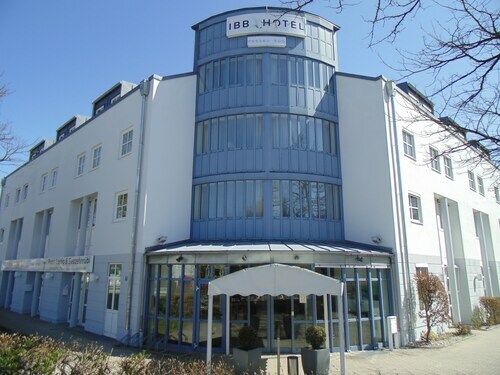 Situated in Passau, this hotel is within a 10-minute walk of St. Stephan's Cathedral, Alte Bischoefliche Residenz , and Neue Bischoefliche Residenz. Old Town Hall and Veste Oberhaus Fortress are also within 1 mi (2 km). Passau Central Station is 12 minutes by foot. 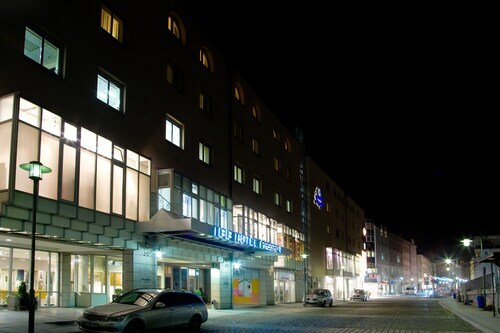 Located in the heart of Passau, this spa hotel is within 1 mi (2 km) of St. Stephan's Cathedral, Alte Bischoefliche Residenz , and Neue Bischoefliche Residenz. University of Passau and Old Town Hall are also within 1 mi (2 km). Passau Central Station is only a 2-minute walk. 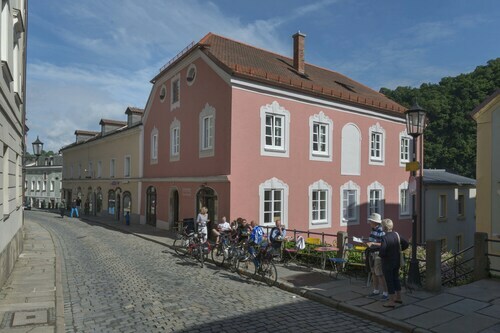 Situated in Passau, this aparthotel is within a 15-minute walk of Alte Bischoefliche Residenz , Neue Bischoefliche Residenz, and St. Stephan's Cathedral. Old Town Hall and University of Passau are also within 1 mi (2 km). Passau Central Station is 23 minutes by foot. 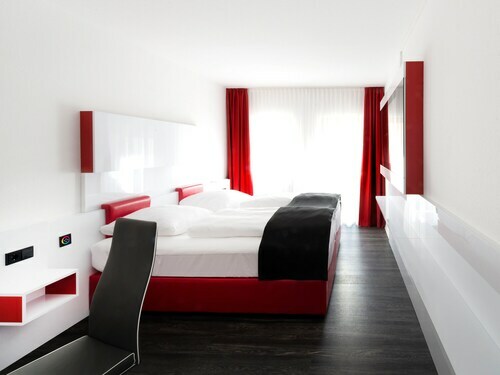 Located in the heart of Passau, this pension is within a 5-minute walk of St. Stephan's Cathedral, Alte Bischoefliche Residenz , and Neue Bischoefliche Residenz. Old Town Hall and Veste Oberhaus Fortress are also within 1 mi (2 km). Passau Central Station is 14 minutes by foot. 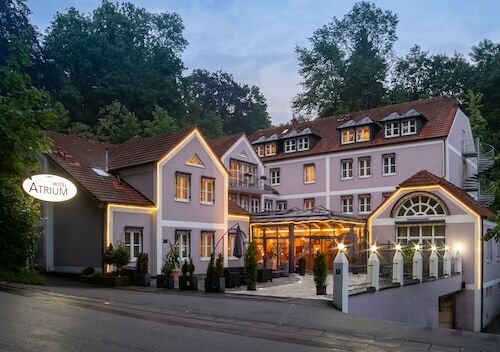 Situated in Passau, this luxury hotel is within 1 mi (2 km) of Alte Bischoefliche Residenz , Neue Bischoefliche Residenz, and St. Stephan's Cathedral. Old Town Hall and University of Passau are also within 2 mi (3 km). Passau Central Station is 29 minutes by foot. Situated in Passau, this hotel is within 1 mi (2 km) of St. Stephan's Cathedral, Alte Bischoefliche Residenz , and Neue Bischoefliche Residenz. Old Town Hall and Oberhaus Museum are also within 1 mi (2 km). Passau Central Station is 14 minutes by foot.